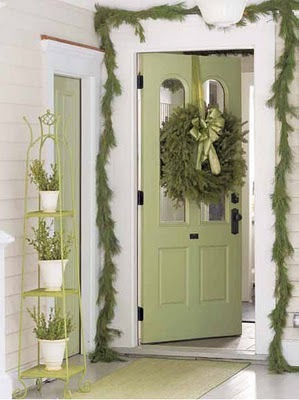 This holiday season, why not try decking the halls with colors remnant of the season, besides traditional red and green? You’re probably wondering how you can possibly make your home look festive and cheery without the classic holiday colors red and green, but trust me, it is possible to do! 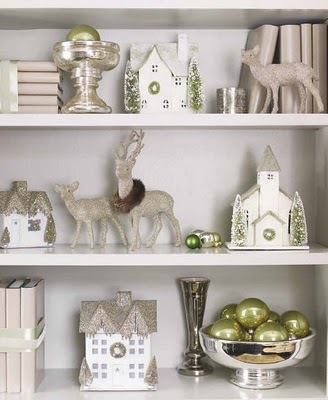 You can bring the spirit of the winter holiday season into your home with wintery colors like silver and sage. By adorning your home with these colors, you can achieve a beautiful atmosphere, reminiscent of wintertime, that is also classy and elegant. 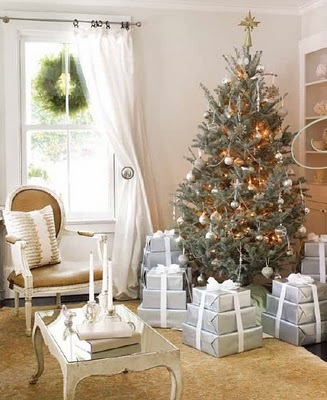 Check out these pictures, courtesy of Habitually Chic, of a lovely home that was decorated for the holiday season with the colors silver and sage. The décor really is gorgeous! You can get numerous holiday decorating ideas from these photos. If you like these, you can check out more pictures of this beautiful home by clicking on the link!